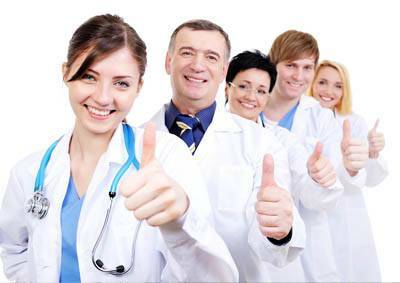 To go for MBBS in Ukraine is the desire of every single Indian student. Now students from India and other nations can easily seek admission for MBBS in Ukraine from your desired MCI recognized Universities offering varied courses in medicines. Today going for MBBS Study in Ukraine is not at all a big deal. We at Study Sevenseas can help you at every stage in getting you admitted in a MCI approved reputed college in Ukraine. We are located in Delhi, India and have been supporting students pursue MBBS in Ukraine and other undergraduate programs in medicine. What Makes Ukraine a Preferable Destination for MBBS Study? Ukraine has become one of the most preferable destinations for the aspiring students who want to study MBBS in abroad because of various favourable reasons. Candidates can find a number of the medical universities certified by MCI for students from India looking for the MBBS Study in Ukraine at a competitive tuition fee. Along with the course in medicine, students can also go for the specialization in any stream of engineering. There are many options for aspirants from any background in India to get the admission confirmed by following the required process. 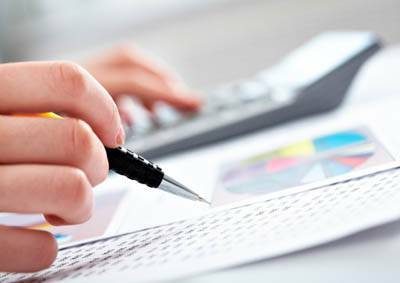 The eligibility criteria and documentation need to be fulfilled. We at Study Sevenseas are available for you along with the expert team of councilors to assist in the complete process of MBBS in Ukraine admission with satisfactory services. One of the best medical degrees is MBBS as it offers a career which is rewarding and also has high self-esteem. MBBS stands for Bachelor of Medicine and Bachelor of Science. There is a tough competition to get into the medical college for studying MBBS. Millions of students prepare day and night to crack the toughest entrance exam of MBBS to get into the best medical colleges. But, not everyone is that fortunate to get into the medical college as there are limited seats and the number of students is just double the number of seats. You can always go abroad and accomplish your dreams and goals. Now, you have got a nice option that is to study MBBS in Ukraine. Ukraine is a European country it lies under the eastern part of European continent. The country is widely spread as it has a vast area under it. The second largest country in Europe is Ukraine. Out of the numerous universities providing courses in medicine, there are a few top colleges and universities duly endorsed by MCI, WHO, UNESCO, and other governing bodies in the world. At times, it becomes very difficult for candidates to choose the best from the top listed educational institution for MBBS in Ukraine and other nations. We at Study Sevenseas play a very important role in helping you choose the best from the rest using our years of experience in overseas admission consulting services in Delhi. Students along with their parents can get in touch with us anytime for free counseling and support for MBBS in Ukraine admission assurance. Vinnitsa State Pirogov Memorial Medical University	 2,97,000 INR. Kharkiv National Medical University	 3,24,000 INR. Donetsk State Medical University	 3,98,300 INR. lvano-Frankivsk National Medical University	 4,38,800 INR. Zaporozhye State Medical University	 2,43,000 INR. Odessa National Medical University	 3,03,800 INR. DanyloHalytskiLviv State Medical University	 4, 32,032 INR. Kyiv Medical University	 2,36,300 INR. Petro Mohyla Black Sea National University	 2,49,800 INR. Bukovinian State Medical University	 3,37,600 INR. Bogomolets National Medical University	 2,90,300 INR. National Pirogov Memorial Medical University	 4,32,000 INR. The education in Ukraine has gained a very importance place in the country. Along with the others, the national education system has given great importance to the medical education in Ukraine. It has been observed that candidates from over 65 nations travel for MBBS Study in Ukraine from the recognised educational institutions in the nation. A great value and focus is on the primary education in the schools in Ukraine. The education in the country is divided in two including Compulsory school and Upper Secondary School. Students can also opt for the different courses categorized in vocational education. The Ministry of Education manages the higher education in Ukraine and is accountable for it. Every single citizen is encouraged to go for the higher studies and live a better life. The local administration in coordination with the governing government believes in introducing the innovative method of teaching and learning for all. In these 5 Government Universities English is the medium of teaching for Indian students pursuing MBBS Program in Ukraine for a good career in the health sector. These 5 Government Universities offering courses in medicine are approved by Medical Council of India (MCI). All the issued medical degrees are valid in India and in the different parts of the globe. WHAT IS THE DURATION FOR MBBS IN UKRAINE? The duration for the MBBS course in Ukraine is of 6 years. The period of Internship is included in the duration of 6 years. Clearing NEET for admission in any nation abroad from 2018 onwards has been made compulsory for Indian students planning for MBBS course from overseas. WHY PREFER STUDY SEVENSEAS FOR MBBS ADMISSION IN UKRAINE? We at Study Sevenseas have been supporting Indian students fulfill their dream of pursuing MBBS in Ukraine and other nation from years. We are a professional Overseas Studies Consultant in believe only in the fair dealing. We have already helped thousands of the students from India seek admission to the MBBS program in European nations and other countries in the world. There are a lot of the processes, documentation, and other requirement involved in it and hence it is necessary to choose the 100% dependable Overseas Education Consultant only. You can contact us at Study Sevenseas for the highly contented MBBS admission support services in the MCI approved medical universities in the different countries. Why you should choose Ukraine over all other countries? The country offers amazing and life changing medical opportunities to the medical students. The medical students should always grab such opportunities which can change their life forever. All the potential medical students do not need to worry anymore as this country offer beneficial MBBS course. All the people who are fluent in English can pursue MBBS in Ukraine so there is no chance that you will have to face language barriers while studying there. And the MBBS course offered in Ukraine is accredited and recognized across the world. And, the best part about the country is that it also offers wide fun options to the students like sight-seeing, culture and lot of fun. What makes MBBS in Ukraine the best program over the globe? 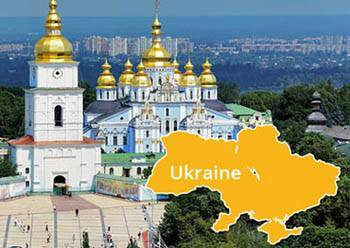 Indian students are blessed with a wonderful chance to study overseas in an amazing country like Ukraine as; this country is known for its medical programs. The best part about studying there is that, the size of the class is very small so, it becomes relatively easier to study and interact with the professors in the classroom. It is very important to clear the doubts and you can easily do that without any hesitation when the class size is small. They impart practical knowledge and training which effectively increases the interest in the students and improves the understanding. And, after the completion of the degree, medical aspirants can appear for a screening test. After qualifying the test, they become eligible for the MCI registration. The literacy rate of Ukraine is 100% and hence, the best place for studying MBBS. Any student who is interested in studying MBBS in Ukraine must follow their heart as it is the right place to become certified doctor. The medical universities in Ukraine are one of the best universities across the world and has premium infrastructure and provides quality education to the students. All the medical aspirants are aware that this is one of the toughest entrance exams; people work hard day and night to crack these examinations. And in India there are slight chances of getting into the government medical colleges as the competition is so very high. And the most tremendous advantage of studying MBBS in Ukraine is that you do not even have to appear for any entrance exam to get into the medical college or university of your choice. The admission process is very easy as you get enrolled on the basis of marks you have got in the 12th standard. And as soon as you complete your degree, you appear for a MCI registration screening and start practicing it. It was founded in the year 1805. It is one of the oldest universities in Ukraine. It provides the premium medical education and training to the students who are coming from all over the world to study in this prestigious university. It has been running undergraduate and postgraduate programs from 1805. It offers MBBS, BDS, MD, MS, MDS, nursing etc. The alumni students from this university are recognized scientists and doctors working in reputed firms and hospitals. Among the higher medical establishments of Europe this university ranks at 26th place and 5th place according to the database of SCOPUS. The faculty of this university is highly qualified and has years of experience in their field. They impart both practical and theoretical knowledge to the students which help the students to excel in every field of life. The hostel accommodation facility is also there for faraway students. There are fully furnished rooms with the bedding of 2 or 3 people in each room. The cafeteria is also present in the university premises. The university was founded in the year 1945. The medical university is under the operation since last 68 years. In the US Faimer International Medical Education Directory and in the WHO directory of medical students, the university is listed under both of these. The university is growing and adapting with the changing times and technology as, they have adopted high tech teaching methodologies for imparting the best and quality education to their precious students who will be the future of the country. They best part is that they insist on both theoretical and practical educations, both play an equal role in the doctor’s life. Medical programs run by the university are approved and regulated by the Ministry of education and Science of Ukraine and Ministry of health in Ukraine. And the degrees provided on the completion of the course are legalized by the ministry of health and Foreign affairs ministry both. They provide the complete post-graduation training with all the essential things in it like internship, master and Phd course, clinical residentura, specialization and Post-diploma training for the doctors. The university also provides the students with world class hostel accommodation facility. The students can find the home away from home in abroad in Ukraine. The hostel has the capacity to accommodate almost 4000 students with well furnished rooms. Every apartment has an attach washroom in it on each and every floor. There is also a common kitchen and common hall for everyone on every floor. Recreation facilities are also available for students for refreshing their mood and studying well. The Tuition Fees/Year in US Dollars is 4000 USD for all the five years. The Hostel Accommodation/Year in US Dollars is 500 USD for each year. And, the Health Insurance/Year in US Dollars is 200 USD for each year. The Tuition Fees/Year in US Dollars is 3600 USD for all the five years. The Health Insurance/Year in US Dollars is 300 USD for every year. The food charges are 100 USD per month and the administrative expenses are 1500 USD and the administrative charges a=have to be paid in one go to the university only. Ukraine medical education is stand out amongst all other countries of the world as it is one of the oldest country who is running MBBS courses. All the Indian students can accomplish their dream of studying abroad by looking for MBBS in Ukraine. The European country has top universities which impart the best quality MBBS education to the students. And the best part about them is that they treat every student equally no matter they are from India, Ukraine or any other part of the world. Thus, we at Study Sevenseas are recognized as the one-stop centre for the satisfactory solution to Study Abroad Admission need in India. Contact us right now for the 100% MBBS in Ukraine admission and free counseling in Delhi.